Most people might think that Indonesia is a country where you can travel for its volcanoes, beaches, surfing, and Komodo dragons. It’s true that those things are the icon of Indonesia, but you better don’t underrate its diving sites. Indonesia is blessed with one of the longest shorelines you could find in the world. Moreover, Indonesia is also a part of the Coral Triangle which means you can find 20% of the world’s coral reefs in this certain country. There are so many diving sites you can choose in Indonesia and each of them will definitely give you a spectacular view of diverse maritime life. Here are some diving sites in Indonesia you should add to the bucket list. Wakatobi is the most outstanding spot for scuba diving among the other four islands which are Kaledupa, Wangi-Wangi, Binongko, and Tomia. Wakatobi islands hold the status as a national marine park. With the beautiful diversity underwater, the islands have drawn passionate scuba divers as well as conservationists. The house reef is the most known spot in the islands and recognized as the best diving site in the world. The fluorescent view underwater is just something that you should see yourself. It features gentle currents, so it would be perfectly fine for beginners. Additionally, the islands are not as crowded as many destinations in Bali. The perfect place to enjoy the beach and of course diving. Raja Ampat is located at the northwest Papua, Irian Jaya. 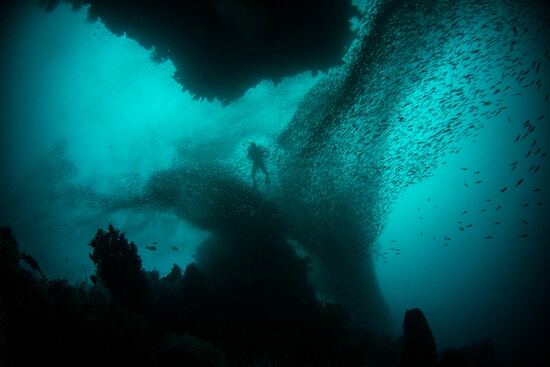 This is known as the best diving spot in Indonesia. Raja Ampat consists of 1,500 small islands which form an archipelago. Here, you can find a massive marine life full of diversity. You will be able to find any type of diving from the richest reef ecosystem to the settled fighter planes. Some of the best diving spots in Raja Ampat are including Manta Sandy, Boo Rock, Muck Bay, and Kaleidoscope. Each diving site offers you a magnificent experience with a different beauty. You will be able to swim with more than 1200 different species of corals and fish. You even have the chance to come across a few whale sharks if you dive in the right season. Komodo island in the East Nusa Tenggara is known as UNESCO world heritage site. This diving site has become the most favorite throughout the world and often referred to as a tropical paradise. There, you will be able to find an abundance aquatic ecosystem from the coral reef, deep walls, pinnacles, colorful shoal reefs to sharks. You can experience the unbelievable underwater life in some diving spots in Komodo island like Tatawa Kecil, Manta Point, Batu Bolong, and Batu Tiga which particularly offers you diving with big fish. If you want to explore an island which has similar beauty with Bali but in quiet circumstance, you should go to Weh island in Banda Aceh, northwest Sumatra. It’s really fascinating to see its beauty on the natural coral reef organisms as well as the large range of Indo-pacific maritime life. Some diving sites in this island are including Sophie Rickmers Wreck, Batee Tokong, Pantee Peunateung, and Rubiah Sea Garden. 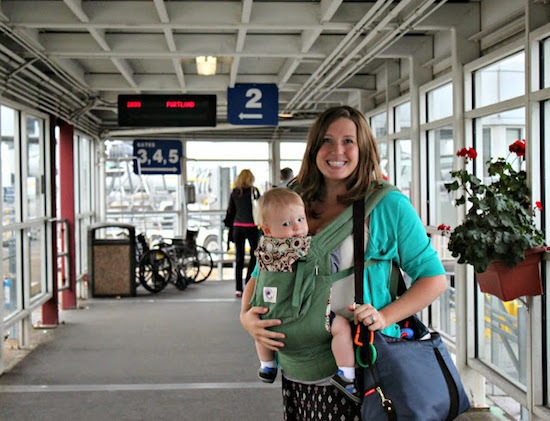 Do you have a plan to go traveling with babies? One of happiness when traveling with family is the opportunity to bring along your baby who is still a baby. Indeed there are some parents who are hesitant to bring babies when traveling. The reasons can vary, from worrying that your little one is fussy, has trouble carrying baby gear, and much more. Though, there are some traveling tips with babies that you can follow if you want to vacation with your little one. Just relax! Tips for traveling with babies below can make you comfortable with your baby without feeling anxious. What are the tips? You need to bring some special items for baby traveling equipment, including carrying wet tissue and dry tissue, carrying a change of clothes, diapers, baby jackets, hats, socks, and a clean cloth to lay down babies when needed on the way. Don’t forget to also bring a breast pump and equipment. Put all your baby’s needs while traveling in a special bag so it’s easy to find when needed. However, the baby’s body is still very vulnerable to experiencing pain if exposed to outside air or other factors when traveling. Therefore, don’t forget to prepare special medicines for babies. You can bring baby balm to prevent the baby from getting cold or sick when traveling. Baby carriers will be very helpful to make your child feel comfortable when traveling. Choose a strong baby carrier to take your child for a walk. Carrying a baby carrier will reduce the chances of your neck aching when traveling with your child, while at the same time making your baby comfortable so that he is not fussy on the way. Actually, you can choose one to carry a baby carrier or stroller. However, you can also choose to bring both if possible. If you are traveling by plane with your little one, chances are the airline determines the cabin baggage size limit that you can take on a plane. So, don’t forget to consider the size of the baby stroller that you want to carry as one of the baby traveling equipment. Of course, there are times when your little one will get bored and fussy if invited to travel for a long time. Therefore, consider bringing toys that can entertain babies while on the go. Bring simple baby toys like rubber toys or small dolls. It’s easy, right? Choosing the front seat in the plane certainly allows you to get more legroom. If you suddenly need space to change the baby’s diaper on the plane, you can lay the baby with a clean cloth mat that you carry from home. You can also use baby airplane seats to make your baby more comfortable. Traveling with a baby does need a lot of special preparation. Do not miss, you also have to pay attention to comfortable lodging for babies so that your child feels like at home. Avoid ordering lodging in a destination city that is not in accordance with the needs of the baby, for example, book lodging with sharing rooms or lodging with an environment that is too noisy. The tips of traveling with babies above are easy to apply, aren’t they?